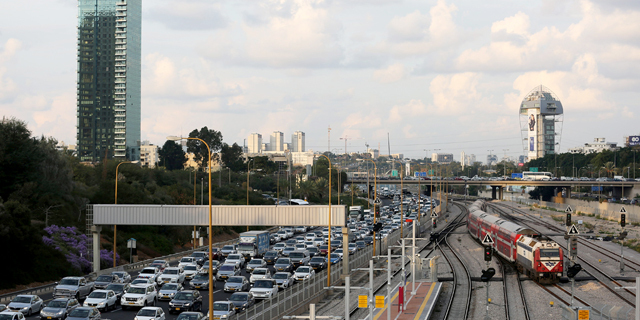 New electric scooter-sharing service LEO officially launched Tuesday at Tel Aviv’s Savidor Central railway station, where it deployed several vehicles. 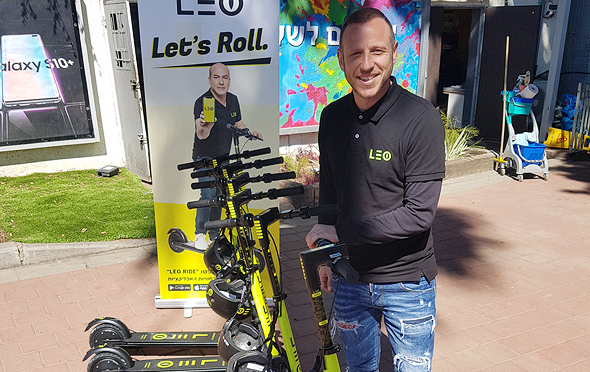 LEO will deploy 300 scooters throughout Tel Aviv and 1,000 additional vehicles across Israel within the next two weeks, co-founder Kfir Ben Shoshan told Calcalist during the launch. Operated by Israel-based electric scooter brand Inokim, LEO is the fourth app-operated scooter-sharing service to launch operations in Tel Aviv, following Los Angeles-headquartered Bird Rides Inc., Berlin-based Wind, operated by BYKE Mobility GmbH, and San Mateo, California-headquartered Lime, incorporated as Neutron Holdings Inc.
Like its competitors, LEO is priced at a flat rate of NIS 5 (approximately $1.4) per ride and an extra NIS 0.5 (approximately $0.14) per minute. In accordance with Israeli legislation requiring e-scooter users to wear helmets, LEO also provides headgear. Several helmets have already been stolen from the scooters, Ben Shoshan said. Last week, LEO announced it will be equipping its scooters with anti-theft devices manufactured by Nasdaq-listed company Ituran Location and Control Ltd. In the future, LEO also intends to offer shared-bicycles, Ben Shoshan added.